Pakistan is a land of peace and beauty. In the last few decades Pakistan has been notorious due to terrorist activities around the globe but the truth is that Pakistan is a victim itself. There is no country where more people have lost their family members and still called as terrorist. 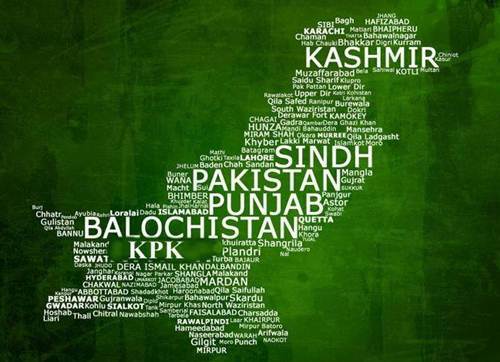 “Pakistan” word stands for the land of pure. The land where visitors get to see purity in heart and actions. They will be a lot of hospitality for them waiting which they shouldn’t miss on. Pakistan is a country that has brought the two youngest certified Microsoft experts Arfa Kareem and Babar Iqbal on the top. Pakistan has the army where no one commits suicide ever and surely it has sixth largest military force. The country of Pakistan is a land where all four seasons come on their set time and people get to enjoy every moment of it. Pakistan landform has all types combined, from high mountain peaks, to platforms and plains. We have mountains to sea all platforms. Pakistan is filled up with numerous reserves only if they are explored properly Pakistan will be the world’s richest country. Pakistan is a producer of best export quality fruits, vegetables and other many things. If you are a Pakistani then you should be surely proud of being one as you are not living in the country that is god forbid struck with hunger or any other calamity these are the times that Pakistani people need to be strong in. these times are hard but they will pass away too. All you need is to be strong-hearted. Pakistan is formed on the name of Religion Islam and it has been named Pakistan which has same meaning as the word “Madinah”. Madinah is a protected place of Muslims and Allah himself is taking care of it same way Pakistan is made to stay forever, no power of the world can bring it down ever. Pakistan is a very beautiful country that has mainly four provinces with their own culture, but also there are many other cultures present here that anyone who is coming to visit Pakistan wouldn’t want to miss at all. Every color and culture and Pakistan combines to make one wonderful country and this is the time for us to be proud Pakistanis.